It was a miracle of wisdom when Sarala had twins on October 3rd, 2016. A baby girl and a baby boy. Sarala is a house wife and her husband Shankar, switches between jobs. He is currently a painter. The family hail from Chennai and stay near Kelambakkam. They also have another daughter studying in class 7. 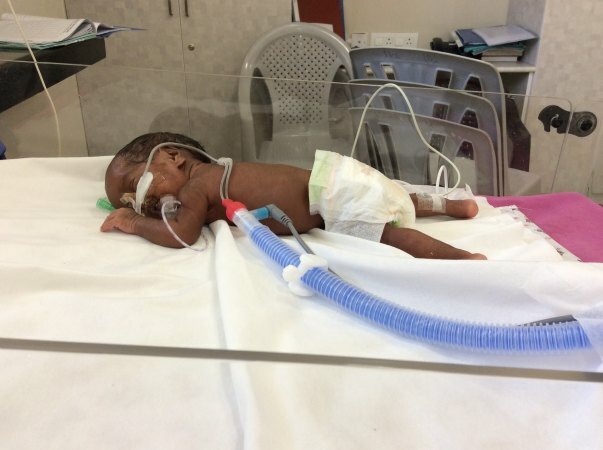 Soon after the twins were born, they started to develop complications while breathing and digesting milk. 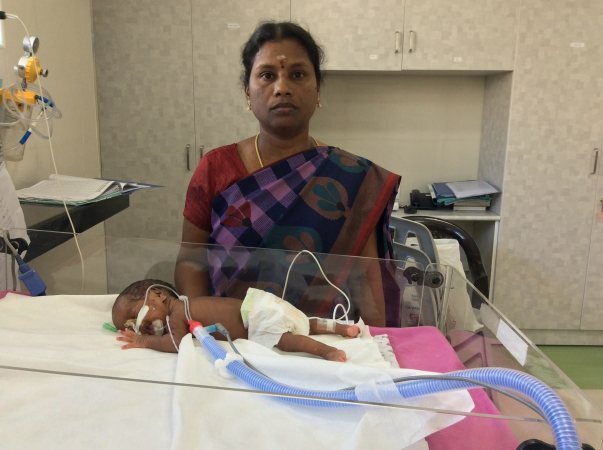 On October 4th , they were admitted to Kanchi Kamakoti Child Trust Hospital. The Baby boy has digestion problems and has had two surgeries till now. Each of the surgeries costed around one lakh. The girl was born at 28 weeks of pregnancy and is 47 days old- the baby soon developed broncho pulmonary dysplasia. Because of which her lungs have not fully formed and has had breathing problems for quite some time. She is on an emergency respiratory support. 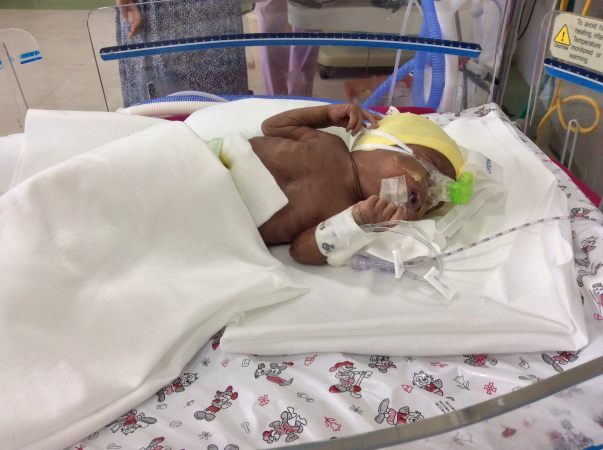 The baby boy is also premature weighing 1.4 kg at birth. He had an intestinal perforation and underwent surgery twice and is on ileostomy. He needs another six weeks of hospital stay. The duration of treatment is 12 weeks out of which they have completed a month at the hospital. 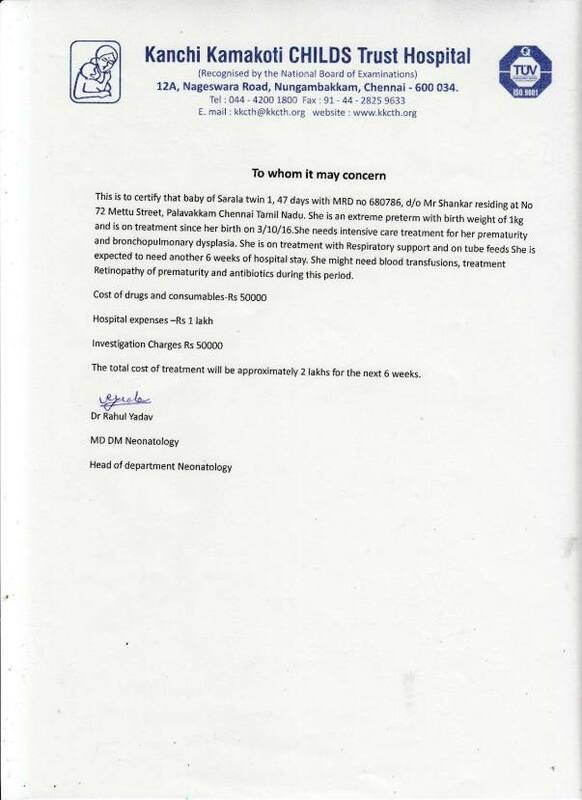 The cost of treatment, drugs and consumables expenses will approximately cost around Rs 800000. 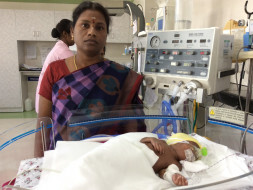 With a meager income of Rs 10,000 monthly, Shankar cannot afford to pay for his twins. With Sarala being a house wife and having an elder daughter already, makes it even more tougher for the parents. This is where we need your support. A small contribution can go a long way to help Shankar and Sarala see their twins survive and have a healthy life. The twins have completed a year and a half and are doing very well. The boy baby is awaiting closure of his colostomy which is likely to be done in the next few months. 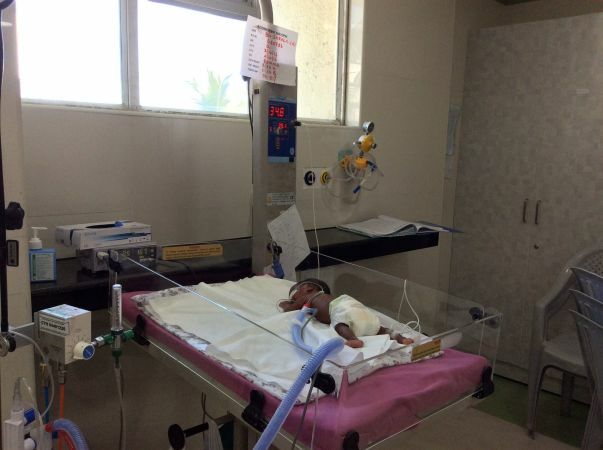 I would like to thank all the donors for all the wonderful support that you have shown towards the babies. Would request you to pray for their health and speedy recovery. 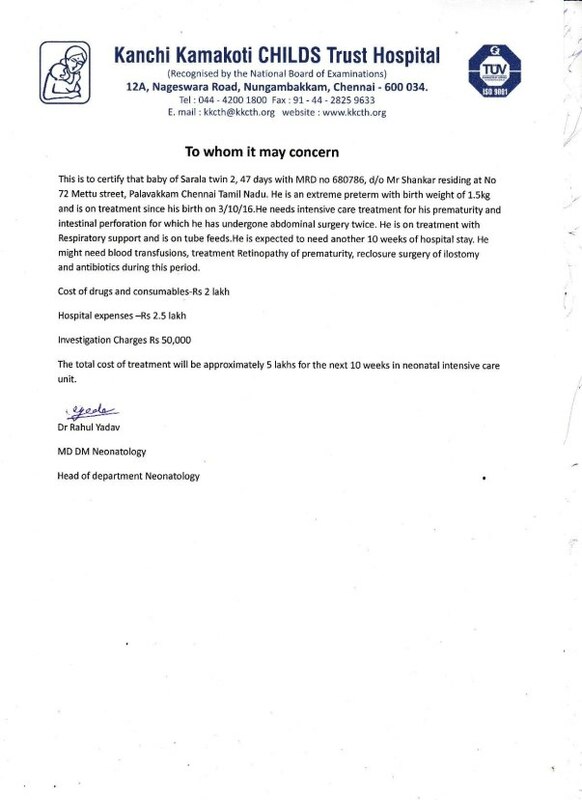 We have good news regarding of both the baby boy and baby girl of Sarala. One month back, they have both been discharged from the hospital and are currently recovering. The baby girl who weighed 1.1kg at birth has now gained over 3kgs, while the baby boy who weighed 1.5kg at birth is now weighing 2.6kgs. Both babies are currently healthy and are under no specific medications, except for vitamins. Your contributions have helped save the lives of these babies. Thank you for your support. Let Almighty bless the twins.